This is the fourth article in a recurring column giving students an inside look at what’s happening in each College at WCU, enabling them to better develop their education plans, course selections, and career tracks. Between new programs, class flexibility, international experiences and career development events, the College of Business and Public Management works hard year-round to generate opportunities that facilitate student success. The College of Business and Public Management (CBPM) can be broken down into three main areas of study: business programs, criminal justice and public policy and administration. The college is continuously looking for opportunities to partner with other colleges to create programs that benefit a variety of students. CBPM will roll out two new management degree completion programs, four new minors and a new public policy graduate program at WCU’s Philadelphia campus in 2021. The college is continuously looking for opportunities to partner with other colleges and collaborate with individual departments to create new programs that benefit a vast variety of students. For students with an associate degree looking to complete their bachelor’s degree at WCU without having to travel to main campus, the CBPM is now offering their management degree at Delaware County Community College. 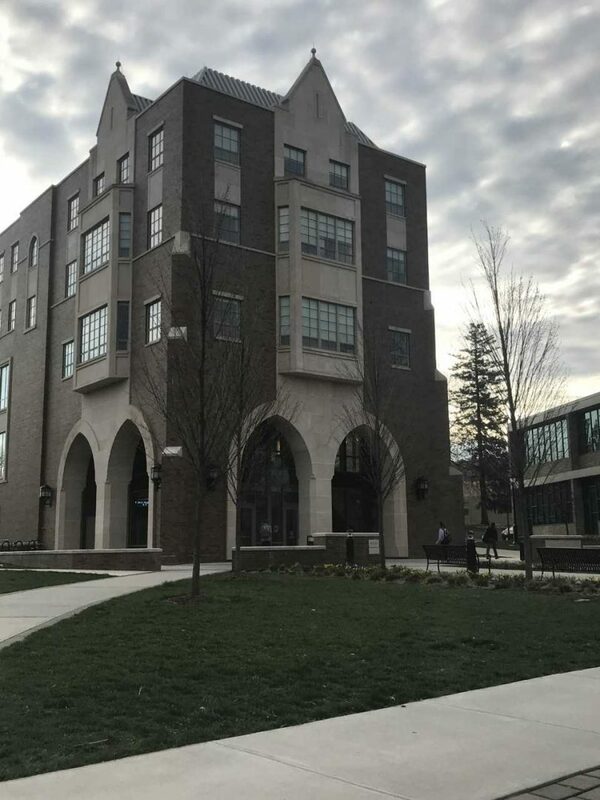 The CBPM has also launched a similar management program at WCU’s Philadelphia campus for a broader population of students with associate degrees at the Community College of Philadelphia. The college’s new minors include a business law minor which rolled out last year, a brand-new human resource management minor launched last semester, an entrepreneurship minor set to be available to students as of fall 2019 and a supply chain minor in the works. The business law minor enables students to take courses that overlap with the college’s HR minor, so that their business electives can count toward two minors instead of one. The entrepreneurship minor, designed for students across all areas of the university, will provide students the opportunity to learn about starting their own businesses. The human resource management, business law and HR minor courses are all offered entirely online. As the CBPM prepares new programs and arranges semester course offering, Dr. Lisa Calvano, associate dean of the College of Business and Public Management, revealed that the College, particularly in management of their largest department tries to offer at least one online section for each class at least one or twice a year to be responsive to students. The college provides students with fast-tracked education and international opportunities for students. “We’ve realized that what students want is flexibility. If we can offer maximum flexibility to students to be able to take classes in the day, at night or online, we’re able to cover a broad range of student needs. We really try to have an understanding that students have a lot going on besides class. We want to be able to offer students the option to make their lives incorporated into their education,” said Dr. Calvano. Furthermore, the CBPM provides students with fast-tracked education and international opportunities for students to enhance their college experiences. The college offers accelerated programs in both geography and criminal justice. Students in these programs are able to get a master’s degree in five years by taking both undergrad and graduate level courses in their last year. The college’s departments host multiple study abroad trips throughout spring and summer semesters. Since the beginning of the 2019, students in the criminal justice department traveled with faculty and peers to London, management students went to Beijing and geography and planning students experienced Málaga, Spain. As for upcoming trips, the management department will be taking students to China this summer, and the geography and planning department will be taking students to Puerto Rico. The accounting department hosts a ‘meet the firms’ night for accounting, economics and finance students to connect with firms from all over the area. “I think the over-arching message of the College is student engagement and student success lead to an excellence student experience,” stated Dr. Calvano. Although enrollment in all of the programs in the CBPM is increasing, Dr. Calvano identified the college’s management department as the largest in terms of faculty and students and the fastest growing. Since Dr. Calvano came to WCU in 2011, the management department has grown from about 11 faculty members to over 20. The department has hired two new professors for the fall semester and has continued to be the college’s leading department in new program development. Similarly, the criminal justice department’s strong student involvement has secured them the position as the college’s leader in student engagement due to their student-focused events, internships and more. Accounting is the leading department in cultivating strong alumni relations. When it comes to preparing students to enter the working world, the departments and faculty within the CBPM organize a multitude of events for students to network and interact with employers and alumni. Aside from the university-wide fall and spring career fairs, the criminal justice department hosts their own job fair and the accounting department hosts a “meet the firms” night in September for accounting, economics and finance students to connect with firms from all over the area. The accounting department also has companies like Kreisher Miller, KPG and PWC visit the business building year-round to set up tables and talk with students. The management department’s senior seminar course hosts a mock interview day where local businesses and WCU alumni practice informal interviews with students and prepare them for the job process. As the semester comes to a close, the CBPM will be hosting its annual scholarship and outstanding student awards night on Friday, April 26, as well as preparing for the Cottrell Entrepreneurship Leadership Center’s business idea and pitch competition on April 17. This year, two teams will be traveling from Beijing University to compete alongside WCU students, faculty, staff, Chester County high school students and Chester County businesses. Ten teams will be competing for prize money to launch their idea and potential startup. For anyone interested in learning about CBPM students and their involvement in real-world professional situations, check out the college’s Instagram to view a campaign conducted by the college’s Communications and Impact Coordinator, Danah Allen, with students to highlight individuals who are doing or have done internships and their perspective on those experiences.